Many of you probably recognize or use Dr. Jart+ brand BB creams. I feel like that was the first BB cream brand that made it big in the US. 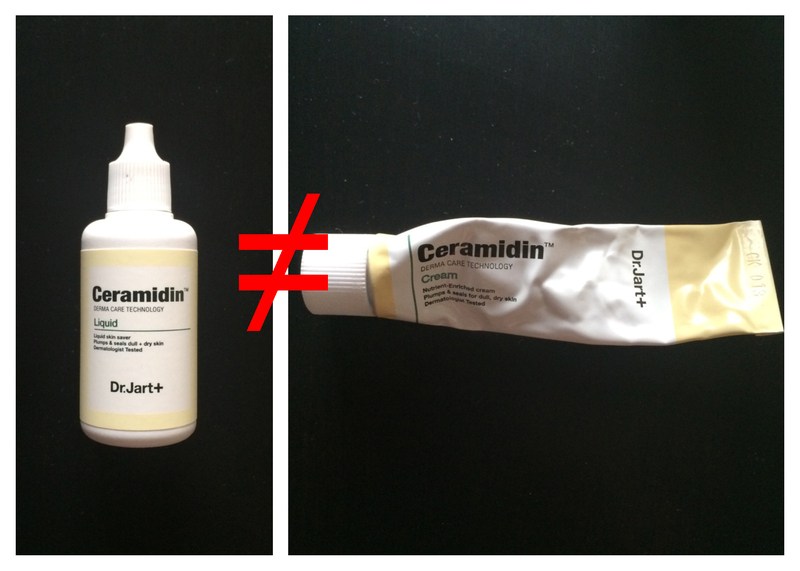 So I got this small duo pack of Dr.Jart+ Ceramidin liquid and cream back in the winter. I read many reviews on Sephora.com and they all raved about how amazing this product is and that it’s particularly great for dry skin. I happen to have desert-textured skin during the winter, yeah it’s pretty bad. So far, I really like the product. It definitely leaves my skin feeling hydrated; however, my biggest problem is the complete imbalance in this duo-product’s size. You get .30mL of the liquid and .15 of the cream, how does that equal out? I’m basically done with the cream, as you can tell, but I have half the bottle of liquid left. Not cool, Dr.Jart+. Anyway, I do recommend this product if you have very dry skin. It is a bit pricey for both, that’s why I opted for this duo-set. My next experiment will be to pair the rest of the liquid with a different moisturizer since I’ve run out of the Ceramidin. I’m sure it will similar results.